The Lupus and Allied Diseases Association, the Lupus Foundation of America and the Lupus Research Alliance collaborated on a ground-breaking initiative to improve and accelerate the development of new treatments for lupus. This very important effort was a tremendous opportunity for individuals with lupus to contribute to lupus drug development by sharing how lupus affects their daily lives and their thoughts on current and future lupus treatments. The three leading voices in the United States - the Lupus and Allied Diseases Association, the Lupus Foundation of America and the Lupus Research Alliance joined together to host the Lupus Patient-Focused Drug Development (PFDD) Meeting. 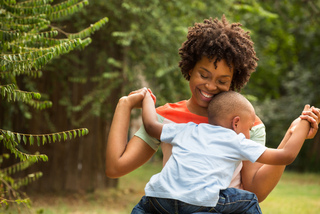 This groundbreaking initiative culminated in a meeting driven by persons with lupus and their advocates to provide the Food and Drug Administration (FDA) with perspective from our community on a number of important issues. 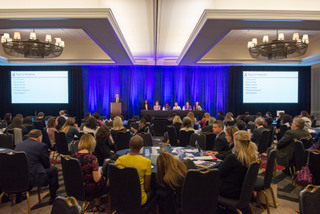 The meeting followed the successful model developed by the FDA for similar sessions and provided persons with lupus with the unique opportunity to share their story, including the challenges they face on a daily basis in living with lupus and their hopes for future treatments with senior FDA officials to better inform how the agency evaluates and considers potential therapies for lupus. Held on September 25 in the Washington, DC suburb of Hyattsville, Maryland, the Lupus PFDD Meeting featured upwards of 300 persons with lupus as well as their representatives in person and another 300 who joined the live webcast. The meeting also included two diverse panels of people affected by lupus who shared their stories and helped to drive the conversation. Following the meeting, the organizers summarized the session as well as the input received through the pre-meeting survey and shared this report with the FDA, drug developers, researchers and others working to produce treatments for lupus. The Lupus and Allied Diseases Association, the Lupus Foundation of America, and the Lupus Research Alliance are tremendously proud of this project and its impact on our goals of improving patient quality of life through the discovery and delivery of better treatments and, ultimately, of curing this disease. We thank all who joined this effort to help us move toward a world free of lupus. The pre-meeting survey was designed to give people with lupus a chance to add their voices and tell the organizers and the FDA about their experience being diagnosed with lupus, living with the disease and pursuing treatment options. Over 2,000 people from the United States and across the globe completed the survey. The data helped us to plan the Lupus PFDD Meeting and to develop a report on the lupus patient experience that was shared with the FDA. Thank you to everyone who took the time to complete and promote the survey. You helped to advance the Lupus PFDD Initiative. The Lupus PFDD Meeting was held on September 25, 2017 in Hyattsville, MD and was an incredible gathering of people with lupus, their representatives and loved ones, and other members of the community. The meeting included panel remarks and comments by people with lupus as well as presentations from the FDA and physicians. We thank the lupus activists from across the nation who attended the meeting in person or tuned in for the webcast. If you weren't able to attend the meeting, a recording of our webcast is right below. 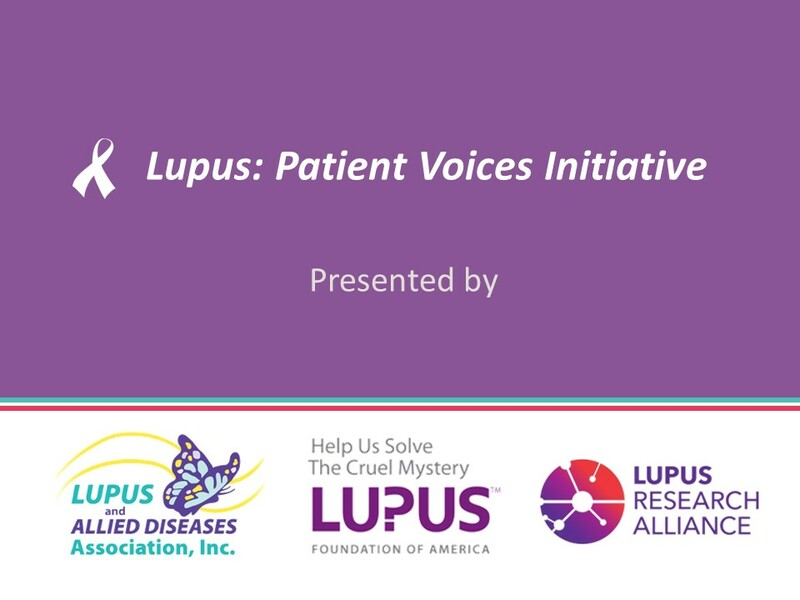 The Lupus: Patient Voices Report was composed as a result of the Externally-Led Lupus Patient-Focused Drug Development (PFDD) Meeting, a parallel effort to the U.S. Food and Drug Administration’s (FDA) Patient-Focused Drug Development Initiative. This report includes data and personal accounts from people with lupus on symptoms, daily disease impacts, current treatments, and views on clinical trials. The report has been shared directly with the FDA and is considered patient experience data, meaning that it can be used by the FDA during the review and approval process of new drugs for lupus. We hope that this report will help the FDA to better understand the perspectives and experiences of people with lupus and advance superior treatments for this devastating disease. The Lupus PFDD Initiative was organized jointly by the Lupus and Allied Diseases Association, the Lupus Foundation of America and the Lupus Research Alliance. All three organizations are full and equal partners on this collaborative effort to benefit the entire lupus community. Here are brief descriptions of each organization and you can visit their websites by clicking on their organization name. The Lupus and Allied Diseases Association is a national non-profit organization dedicated to enhancing quality of life for those impacted by lupus and allied diseases and other conditions of unmet need by fostering collaboration among stakeholders and promoting innovative advocacy, education, awareness and research program initiatives with the patient voice. As a passion-driven charity led by individuals with lupus and their loved ones, it is our goal to improve access to care and quality of life through the discovery of better diagnostics, superior treatments, causes and cures. The Lupus Foundation of America is the only national force devoted to solving the mystery of lupus, one of the world's cruelest, most upredictable and devastating diseases, while giving caring support to those who suffer from its brutal impact. Through a comprehensive program of research, education, and advocacy, we lead the fight to improve quality of life for all people affected by lupus. The Lupus Research Alliance unites the global lupus community in bold determination to free the world of lupus through the power of science. We will transform the lives of people affected by lupus as we welcome and embrace a new scientific era, pioneer innovation, push the frontiers of knowledge, enlist diverse new scientific talent and lead the drive to new treatments, prevention and a cure. 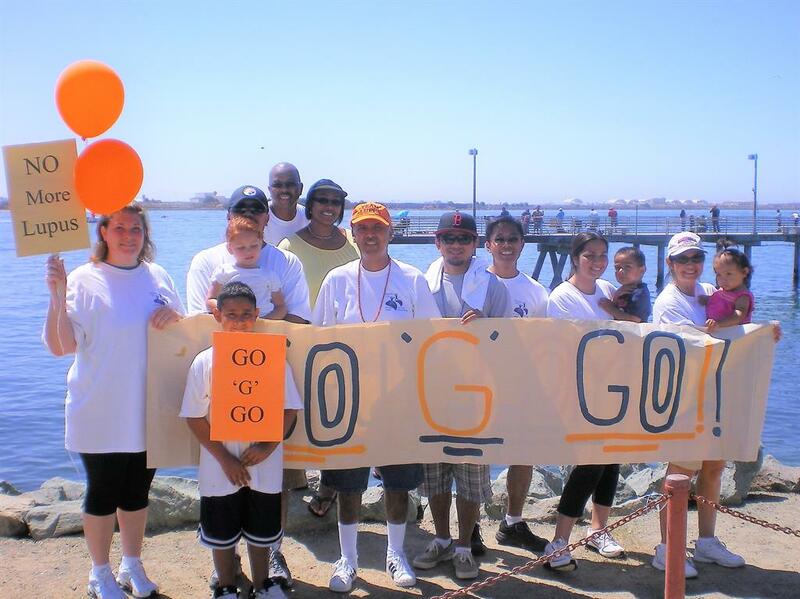 Because the board of directors funds all of the organization's administrative and fundraising costs, 100 percent of all public donations go directly to funding research programs. We greatly appreciate the participation and support of the many stakeholders in the lupus community and beyond whose contributions made this initiative possible.